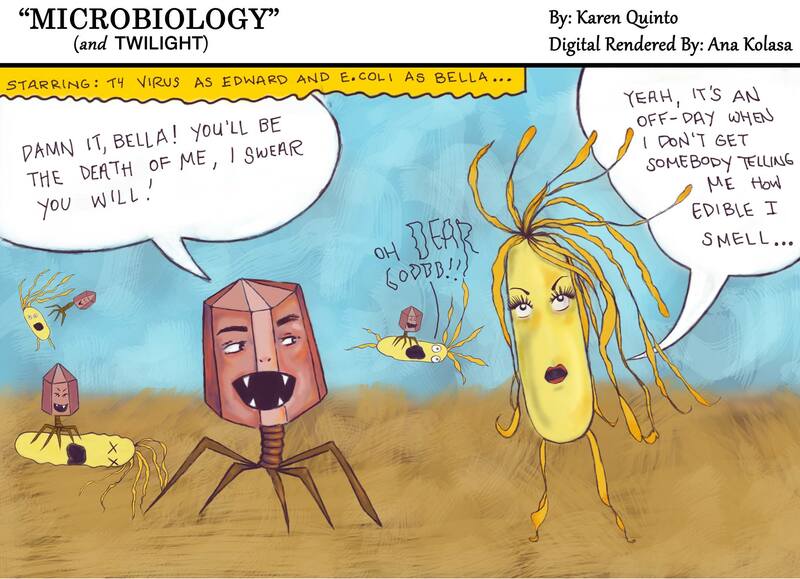 T4 bacteriophages are viruses that specifically attack E. coli, vampires with a thirst for bacterial blood. They have proteins on their tail tube that puncture like fangs so that the viral DNA inside their head can slip out and invade the poor, unsuspecting E. coli. Luckily, T4 viruses are not harmful to us and that's why we can use them in treating infections and disinfecting food. This technique is increasingly more advantageous as instances of antibiotic resistant bacteria continue to rise. I would have watched Twilight if it was like this!